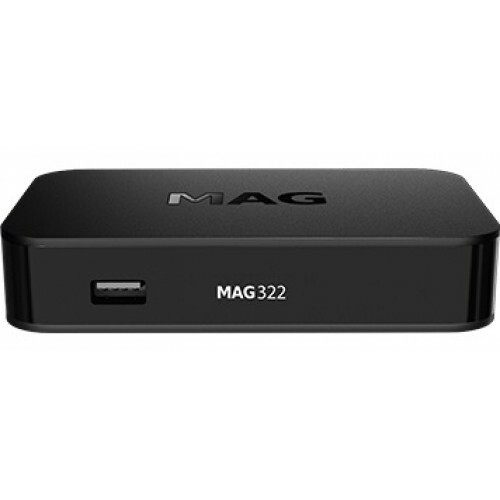 MAG322w1 is a version with a built-in Wi-Fi module of 802.11 b/g/n standard and 150Mbps bit rate. This modification enables users to establish a network connection without additional equipment. 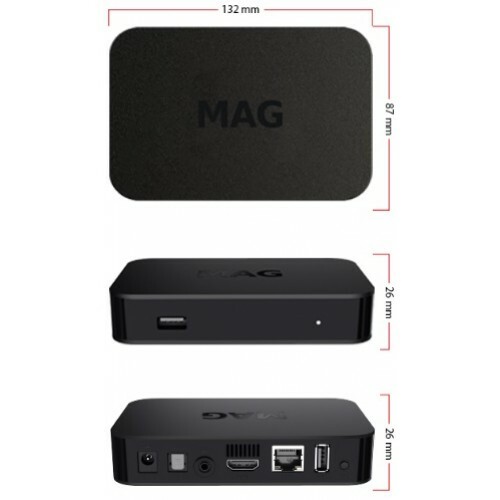 MAG322 w1 is a powerful set-top box containing a high-performance processor on the BCM75839 chipset, and 512MB RAM. It’s the optimal solution for quick launch of your IPTV/OTT project. 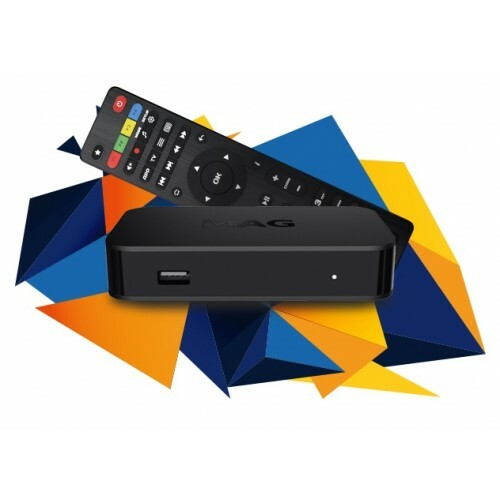 The set-top box is designed to fulfill current market needs. Your customers can enjoy the highest video and sound quality with HDMI 1.4b and S/PDIF outputs. HEVC support will dramatically reduce your network load. The set-top box plays the HEVC-compressed files. This means the network load will be lower, even when delivering high-quality content. The set-top box plays advanced 2D and 3D graphics with OpenGL ES 2.0 support. Modern high-performance processor on the chipset BCM75839 and 512MB RAM is good enough to playback the high-quality video. The audio output S/PDIF allows connecting the multichannel High-End system to the set-top box. HDMI 1.4b provides the highest quality of sound and image.